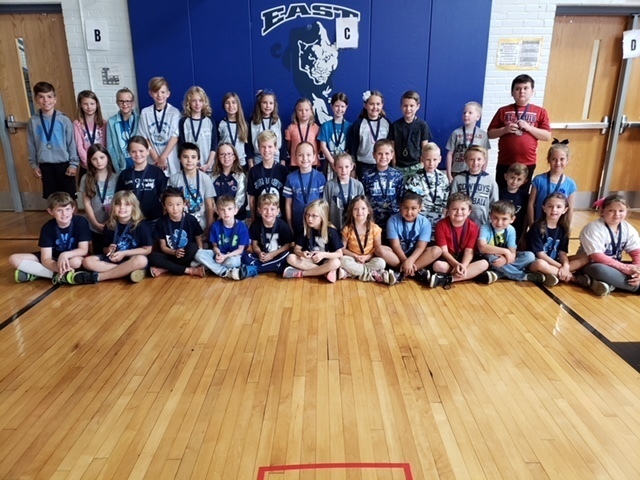 These students were recognized at the October Character Assembly today for demonstrating the September character word of the month "Respect". Their individual pictures will soon be featured on the bulletin board outside of the office. The entire assembly is facilitated by the fourth grade students in Character Council. At the assembly the Character Council introduced and shared different examples of the October character word "Caring". Students demonstrating the character trait of caring will be acknowledged at the November Character Assembly.